This Panzerwerk was built on a small peninsula just south of the Plage d'Illien. All steel parts of the bunkers are removed, but there is much to see. The bunkers on the southern part have extra camouflage walls in front. 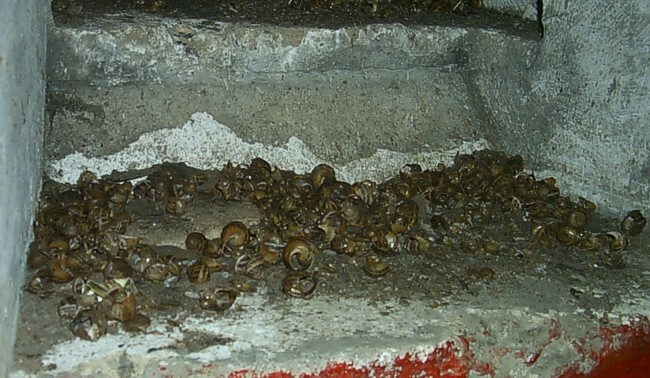 This Scharte is a dead trap for snails.